She would move mountains for you, her love was for you unbreakable. She is written on your heart and will be with you forever. 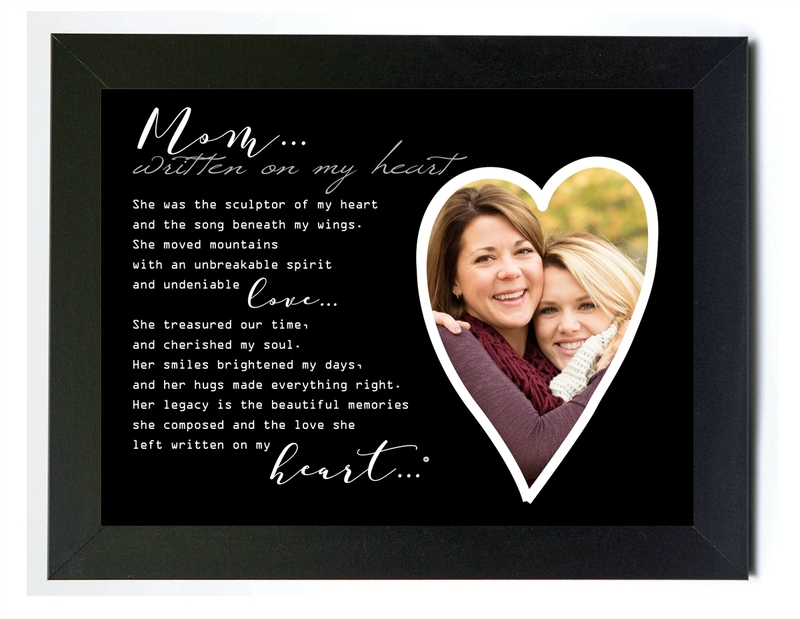 Mom, Written on my Heart frame is a beautiful gift for anyone who has lost a beloved mother. 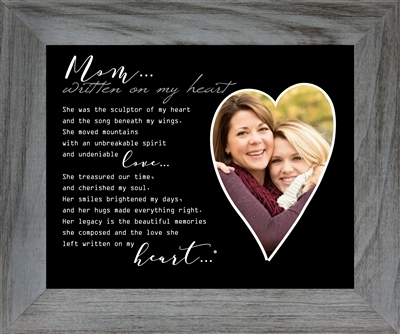 The touching tribute accompanies a heart-shaped space for a 4x6 vertical photograph. Our special mother memorial gift is available in a black, distressed gray or white 8x10 wall or table frame. 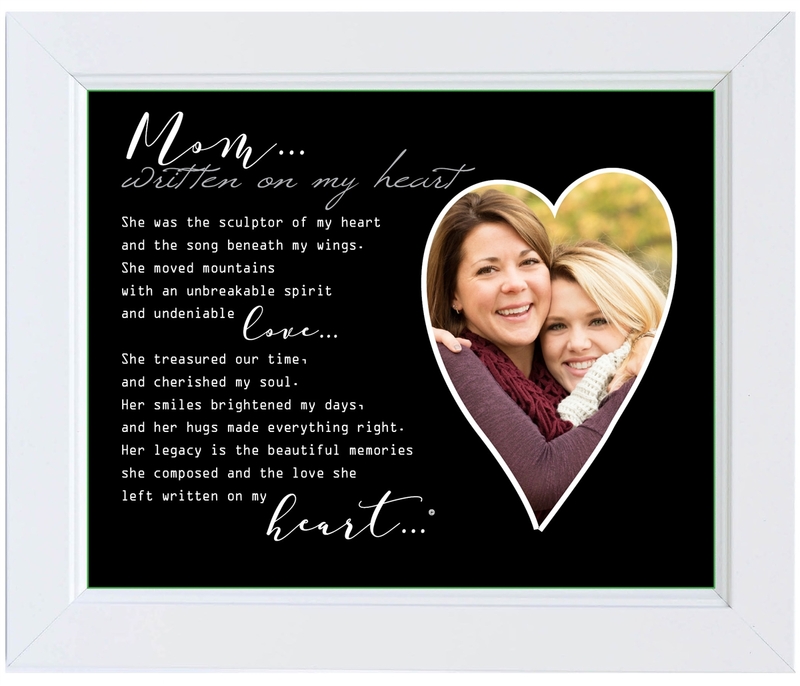 Whether for yourself or a special friend or family member who has lost their mother, this frame will be a comfort and a treasure to celebrate the love that her life left written on a child's heart. Also available in a handmade pewter heart ornament. See item 6431.